Head over to your local Kroger to grab a great deal on deodorant! 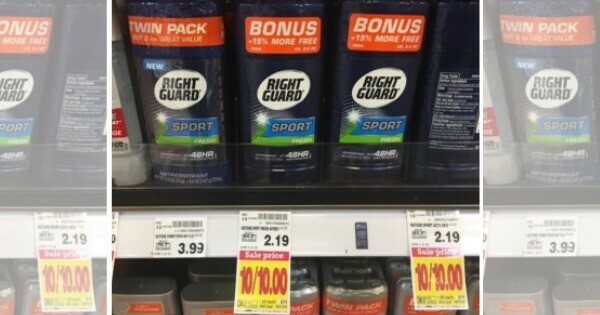 Through 5/23 Right Guard Sport Deodorant is on sale for $1.00! We have this that we can use with this sale, making these just $0.50 after cash rebate! Be sure to grab some on your next shopping trip! Bayer Low Dose Aspirin Just $0.19 at ShopRite!